Who will win the title of D2-D4 Dance Season2 on Mazhavil Manorama? Gum on D2, the season 2 the popular dance reality show D4 Dance on Malayalam Channel Mazhavil Manorama has reached its end with its grand finale and the winners will be declared on 13 September 2015. Only Five contestants among top 6 Contestants - Pranav Pradeep,Pranav Sasidharan,Saniya Iyappan,Arjun Krishna Nair,Fida Ashraf and Suhaid N P- will compete in the grand finale. The shooting of the grand finale is over in August itself, but the telecast will be on 13 September 2015. The details of the winners of D2 will be updated following the telecast of grand finale. D2-the season 2 of D4 Dance, directed by Yamuna Yami was launched on December 5, 2015. The contestants were grouped into two as Neeravs Angels (girls team) and Master Blasters (boys team). 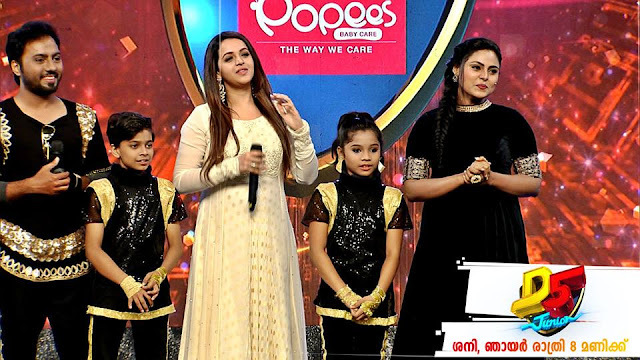 Govind Padamasurya (GP) and Pearle Maaney are the hosts of the show D2 while Actress Priyamani, Neerav Bevlacha and Prasanna master are the permanent judges . This most popular dance really show on Mazhavil Manorama D2 Sponsored by Gum On and powered by Kalyan Silks. The highlight of the show is the entertainment provided by the hosts and judges in addition to the contestants. Actor Dileep will be the the chief guest of the programme's final episode and will announce the top three winners of the show. 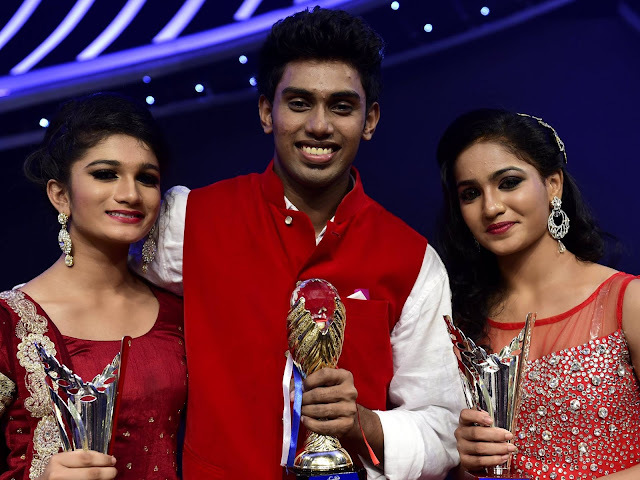 Ramzan Muhammad was the winner of Idea D4 Dance , the season 1 of D4Dance on Mazhavil Manorama. Who will be the winner this time? We will update the results following the grand finale. Update: Pranav Pradeep was eliminated after the final round.